At Blue Flourish, we create an assortment of stunning hair pieces, bouquets, and boutonnieres to match the diverse personality and styles of all modern brides. You have the option of choosing designs that range from classic and traditional to vibrant and colorful! Got a favorite color? 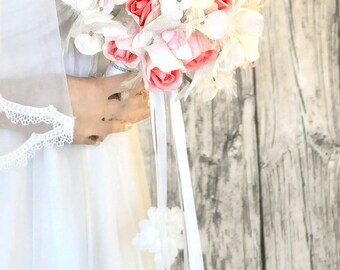 Our designs are made in a variety of colors to match your wedding theme. 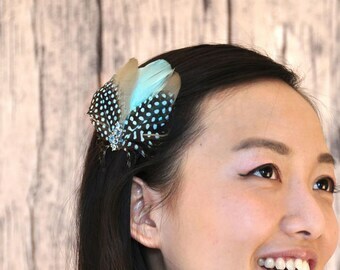 For those looking for more daring decorations, our fanciful peacock feathers add that unique elegant touch to our wedding accessories without compromising the romantic design. We produce beautiful, stylish creations with feathers, beads, and pearls that are visually striking, enchanting and sophisticated. Celebrate your magical moment. Make your special occasion uniquely yours. Shop here for your wedding accessories today. --- Custom orders: please read store policy, especially the last section. Thanks! 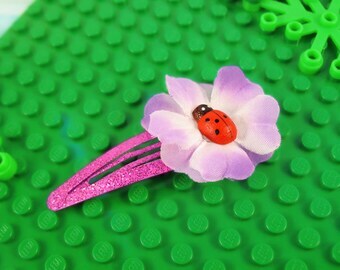 This is the most beautiful hair clip I have ever seen in my life, I love it so much. Thank you for something I hope to keep forever! :D Gorgeous and quite quick shipping too. 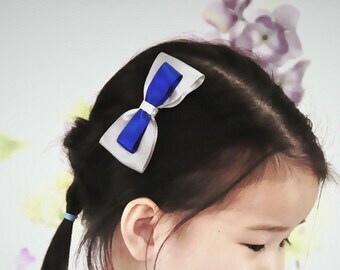 Welcome to Blue Flourish (also known as Rationale)! We ship by REGULAR MAIL, and the journey itself takes 2-3 WEEKS. Need it faster? Contact me to discuss rush shipping options. READY-TO-SHIP means we will ship it out within 48 hours. Occasional exceptions may arise - please see storefront announcement for the store's latest news. MADE-TO-ORDER means it will take about a week to make the product before shipping it out. Much of what is sold here is made-to-order/custom-made, and used only in special occasions. Like so many sellers whose products are of this nature (e.g. special events and weddings! ), I generally cannot give refunds or exchanges. Deposits, partial payments, sample orders are also not refundable, because this money would go towards the purchase of materials that are bought specifically for your needs. HOWEVER, each situation is considered individually with the primary intent of wanting to make you happy. If ever there is a problem, please contact me and let's work something out! I will do everything within my power to set things right. Please ask me lots of questions before ordering! Thank you for your understanding! SIZES: all dimensions provided are approximate due to the handmade nature of these products. COLOR - ON SCREEN VS. ACTUAL COLOR: computer monitors commonly show colors that are slightly different from the actual item, so if you are very concerned about color, I strongly encourage you to order one first as a sample. FEATHERS AND FLOWERS: every effort will be made to create items that match the picture, but materials often have natural variations, therefore please understand that items may look slightly different in each case. The overall look will not be affected. COLOR NAMES AND ITEM DESCRIPTIONS: colour descriptions and colour names can be very subjective. This means that although there is a clear distinction between colours such as "green" and "red", the difference between "turquoise" versus "teal" and "magenta" versus "fuchsia" is highly subjective (just to name a few examples). My "magenta" may be very different from your "magenta", and so on. Again, if you are very concerned about colour, Convo me for a sample for a small fee. All payments are processed by PayPal, which protects your credit card and account information. Payment must be completed before your order is made and shipped..
Kindly note that buyers are responsible for any and all duties and customs charges. Orders to Canada and the US over $150 before shipping costs will include a complimentary shipment tracking Number. Orders to anywhere else will not include a tracking number. It is very expensive. Contact me if you really want to know the price. I Convo all buyers (usually within 24 hours) upon receipt of payment to say hello(!) and address any notes they have left me in "Message To Seller". Customs officers may open parcels for insepction. They mean no harm, so don't be alarmed! But for this reason, our packaging is simple and sturdy, not fancily gift-wrapped. Very, very rarely do packages get lost. We have shipped hundreds and have had it happen once, and in the end, the post office fixes these errors after a long delay! In the event that it does occur, we will do everything we can with the post office to help you. Also, please remember to provide the correct shipping address! Reimbursement or replacement of lost packages and undeliverable orders to wrong addresses provided by the customer cannot be given at this time. Contact us if you believe your parcel was lost. - For quoted prices of more than $100, a 50% non-refundable deposit is required before design work begins; for quoted prices of less than $100, full payment must be made upfront. - All quoted prices include 4 REVISIONS. When a buyer receives a set of pictures for the custom design, and replies to me with requests to modify the design, this counts as ONE revision. So in total, this process can be repeated up to 4 times. After this, each additional revision is 25% of the item cost, or you will receive a full refund to terminate the order. 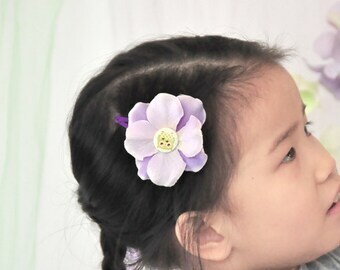 - for bouquets, boutonnieres, and pin corsages, the stem will NOT be ribbon-wrapped until the design has been finalized. Once the ribbon wrap is placed on, no more changes can be made.